Pour our Pepper Jelly over Cream Cheese for a quick, easy and delicious snack to take to a party or throw one of your own! 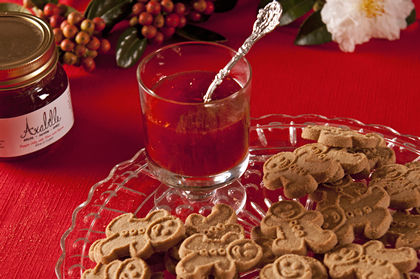 For a unique and quick dessert, spoon our Pepper Jelly into a footed glass and serve it with your favorite Sterling spoon with Gingerbread Men. It will be yummy and fun for children as well as the child in all of us!